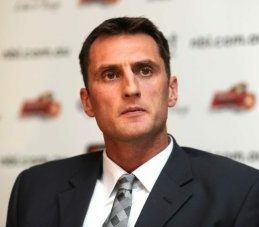 Chris Anstey is a 3 time NBL Champion (twice as Captain), two time Olympian, and also competed in the NBA, Russia and Spain throughout his 17 year career.With over 700 games of professional basketball, and representing Australia 118 times his unique experiences place him in a rare position of insight into the nature of successful teams and leadership.Chris has worked with children around the globe, and in 1996 was a founding member of ARMtour (later Red Dust Role Models) which provides education, support and mentoring relating to substance abuse, the importance of education and a healthy lifestyle to remote indigenous communities throughout the Northern Territory and Western Australia. As a late starter to basketball, Chris learnt the value of work ethic and commitment that allowed him set and achieve goals that many thought were unattainable. As a result, Chris has experienced both success and failure throughout Australia, the USA, Russia and Spain, and learnt the importance of team culture and leadership in many different environments. Upon returning to Australia, these lessons enabled Chris to captain the Melbourne Tigers for 4 seasons, leading them to 2 Championships and making 2 more Grand Final appearances, representing the most successful period of time in the club’s history. Chris’s passion for the pursuit of achieving your full potential in all aspects of life, supported by many anecdotal examples, have enabled him to be able to engage teammates, clients and students, and work with them towards their own goals, whilst understanding the importance of teamwork, leadership and work ethic in doing so. Chris recently co-founded TLC Mentoring (Teamwork, Leadership, Confidence), whose first 10 week modular program has already been extremely well received by both primary and secondary schools in Victoria and Tasmania.